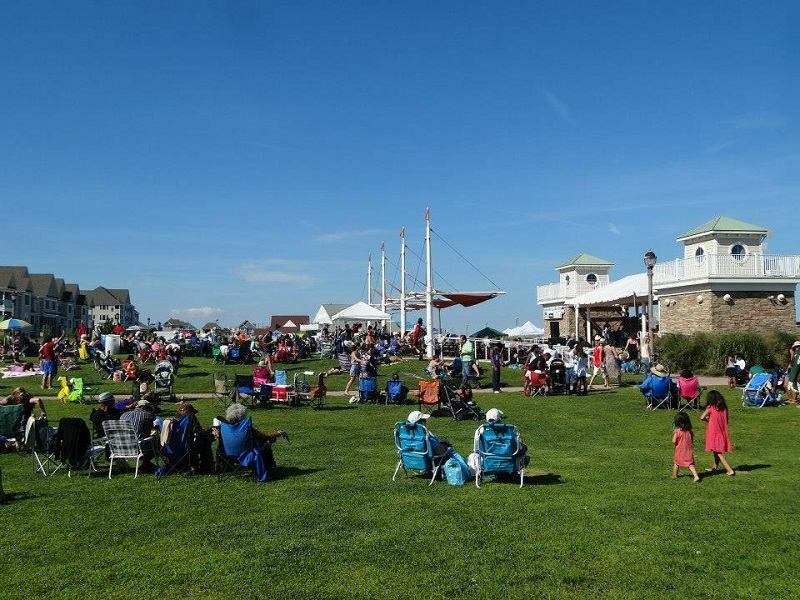 LONG BRANCH, N.J. - July 14, 2015 - PRLog -- The Jersey Shore Jazz and Blues Foundation’s (JSJBF) Summer Series of Festivals, voted “Favorite Music Festival” this year in the JerseyArts.com People's Choice Awards, ends the summer on a good note at the Long Branch Jazz & Blues Festival on Saturday, August 29, 2015 from 12 -10 p.m. at The Great Lawn on the Boardwalk, located on Cooper Ave. in Long Branch, N.J. Thousands are anticipated to turn out for a day of live performances by talented jazz and blues musicians, food and beverage, crafters and sponsor exhibits, and a kids activities area. Fireworks to follow. The festival is rain or shine, free to the public, dog friendly and all ages are welcome to attend. Each year, sponsor donations from the Summer Series of Festivals raise essential funds for the nonprofit Jersey Shore Jazz and Blues Foundation’s operational expenses. “Our award-winning summer festival has been entertaining jazz and blues fans on the Jersey Shore for more than 25 years," said Festival organizer Dennis Eschbach. "We attract thousands of visitors of all ages. Thanks to the support of our musicians, volunteers, sponsors and host towns, we're able to keep jazz and blues music alive and rolling in the region." Long Branch Jazz & Blues Festival headliner is Funktion 11. With their outstanding original compositions and dynamic interpretations of iconic and contemporary hits, Funktion 11 brings an international and contemporary spin to the funk tradition with three lead vocalists, an electric guitar, electric bass, keyboards, a four-piece horn section, drums and percussion. Spawned from the creative vision of Band Leader and percussionist Ronnie Nalven, Funktion 11 has been garnering a strong East Coast following for their infectious rhythmic grooves and captivating original material. Their energetic, dynamic stage performances feature original choreography and undeniable crowd chemistry, making their live shows as much about dancing and having a good time as listening intently to the tight groove and virtuosic playing of each individual band member. For more information on Funktion 11, visit www.funktion11.com. Founded in 1987, the nonprofit Jersey Shore Jazz and Blues Foundation remains dedicated to its efforts to preserve, promote and perpetuate jazz and blues on the Jersey Shore through performance and education. Visit www.jsjbf.org for more information. Connect with the JSJBF on Facebook at Jersey Shore Jazz and Blues Festival and Twitter @JSJazzBluesFest. For information on becoming a festival sponsor or crafter, contact Doris Lazur at 732-933-1984 or sponsors@jsjbf.org.